Every day, people around the world harvest natural products like fungi, plants, bark, flowers, honey and nuts. These non-timber forest products, as they are known, can play an important role – particularly for people living in rural areas. Products like honey and nuts can be sold. 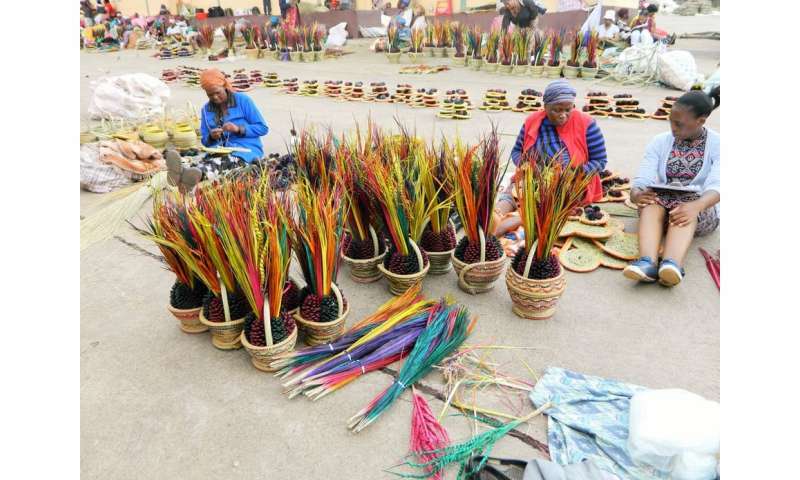 Plants and plant fibre can be used to create furniture, cloth and crafts; herbs processed to make herbal remedies and leaves and flowers sold for ornamental uses. All this contributes to income generation and is a valuable resource for alleviating poverty in rural communities. Yet Non-Timber Forest Products (or NTFPs) don't often feature in discussions about poverty reduction and alleviation. One of the reasons for this is probably the lack of qualitative studies on the topic; the kind which feature stories from people who have used them to escape poverty. Users' voices haven't been heard enough to help scholars and policymakers understand the links between these products and poverty alleviation, and to harness these in poverty reduction strategies. In our new book published by Springer, Poverty Reduction Through Non-Timber Forest Products, we have tried to fill this gap. Interviewees from Mexico, Guatemala, Nicaragua, Peru, Brazil, Portugal, Italy, Nepal, India, China, Uganda, Swaziland, Malawi, Cameroon, Mozambique and elsewhere shared their stories of using various products to create small enterprises and earn money. Many have also been able to survive shocks such as crop failure, illness, retrenchment and the loss or estrangement of a family's sole breadwinner. This shows how non-timber forest products can act as "safety nets". Non-Timber Forest Products are dwindling worldwide; climate change and overuse of land are contributing to this trend. But such products are still common in many parts of the world and – while there is no one-size-fits-all solution for poverty alleviation – they should be studied and considered in governments' poverty reduction plans. Our findings suggest that trade in these products should be promoted among poor people. Governments and development partners need to offer the necessary training, support and access to markets and finance to ensure this happens. There are many ways in which Non-Timber Forest Products can be used as an income source. Several approaches are examined and profiled in our book. In Uganda, for instance, we focused on a small-scale women's industry called Easy Afric Design which uses bark cloth made from the fig tree to create handbags and folders. The women had to overcome the stigma of using bark cloth as a raw material, as it has historically been used for burials. To show other women that the material could be used for more than its traditional purpose, founder Sarah Nakisanze wrapped the bark cloth around her as a skirt. Now, several rural women work for the company from their homes, making products from bark cloth. This empowers women who didn't have any other source of income. Many have been able to save money to send their children to secondary school and to purchase assets. In Swaziland, we profiled Paul Dlamini. He harvests medicinal plants from indigenous forests and sells them in his herbalist shops around the country. With this income he set up a five roomed house, educated nine children and employed several people. He has been able to educate his children beyond his own level of schooling, and to improve his family's livelihood. We also share stories from Cameroon and Malawi of people who produce honey and have used the income from their sales to lift themselves out of poverty. The farmer who launched the Malawian initiative, Arnold Kasumbu has become so successful that he now trains other farmers, as well as university students. Raul Sebastião Nhancume, from Mozambique, had to drop out of school due to poverty and later learnt to use palm (Hyphaene coriacea) leaves to make furniture for a living. Now he has two employees in his furniture manufacturing workshop and sells his products in Mozambique and South Africa. With the income from furniture making, he was able to buy school supplies and uniforms for his two children and has also built a two bedroom brick home. By investing their earnings into children's education, many of the people we interviewed were looking to ease inter-generational poverty and improve younger generations' opportunities. Some countries have made inroads in using their Non-Timber Forest Products trade for poverty alleviation. As we outline in the book, Brazil and India have provided training, marketing support and certification for NGOs using these products. Other countries could learn from these approaches. A deeper understanding of how Non-Timber Forest Products can become income sources, as provided through people's own stories, helps to inform poverty reduction strategies in ways that broad statistics and data can't.